If you know me in real life, you know that I'm obsessed with Kate Spade. I call her my girlfriend and if I only had to wear one brand of clothing for life, I'd go KS. So it was only a matter of time until I did a Kate Spade inspired look. In fact, I'm surprised it took me this long. I recently got a new phone case and well, this is where I ended up. I started off with a base of Bear Pawlish Peek a Boo! This is my first time using a Bear Pawlish and let me tell you .... it won't be the last. The formula on this was FANTASTIC! 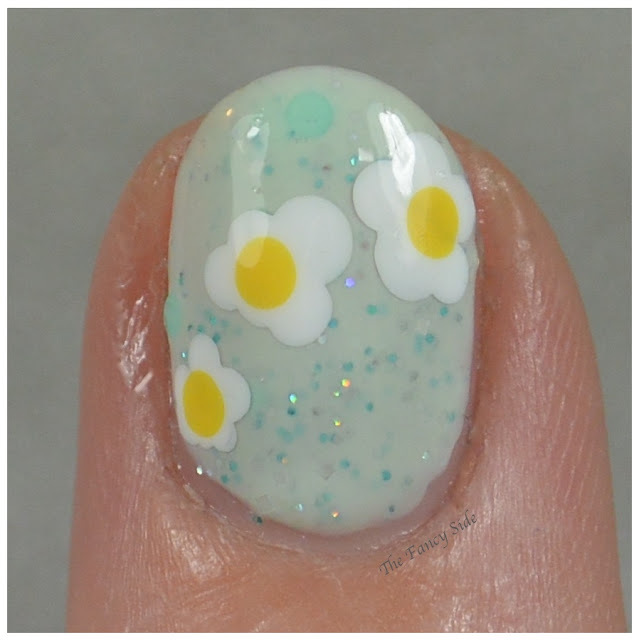 It applied like butter and looks prettier. Peek a Boo! 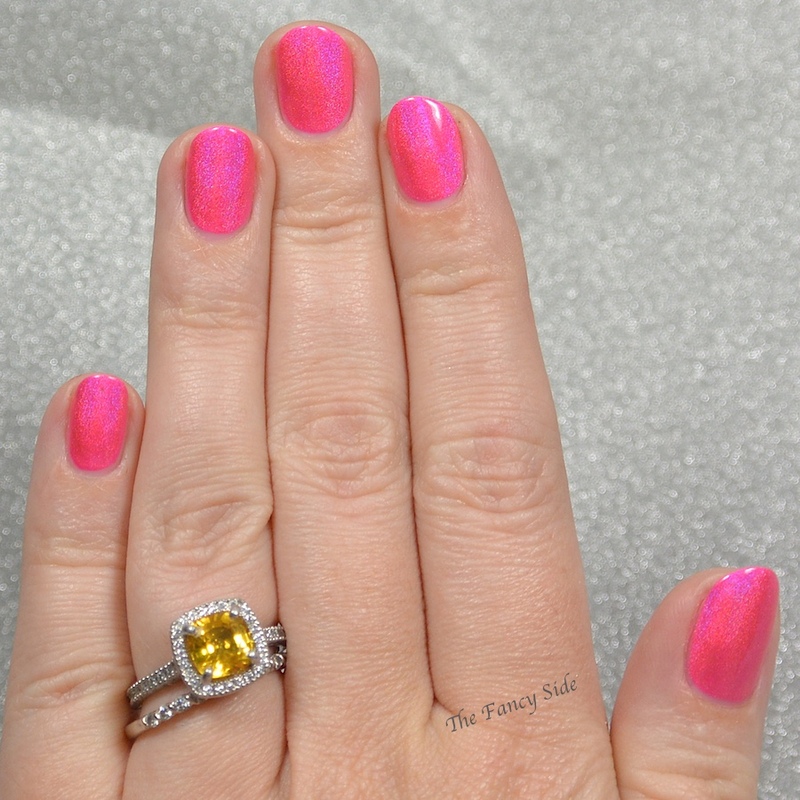 is a BRIGHT blue leaning pink holographic polish! 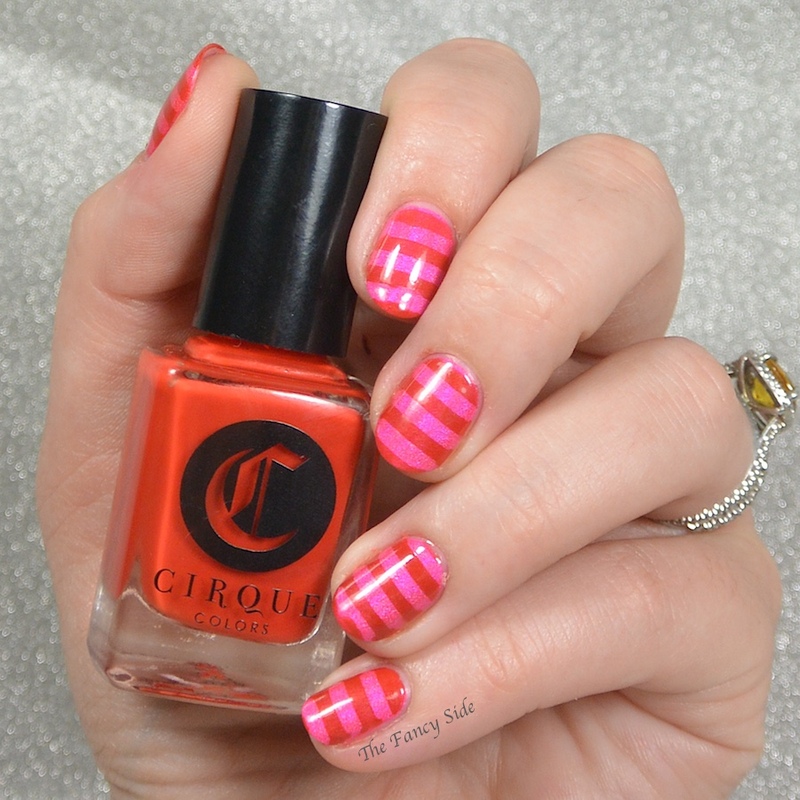 I then went in with Polished for Days Beach Towel Vinyls for the stripes and sponged on two thin coats of Cirque Colors Rita. Rita is quickly becoming my go to red, I use it for everything! Voila! There you have it! 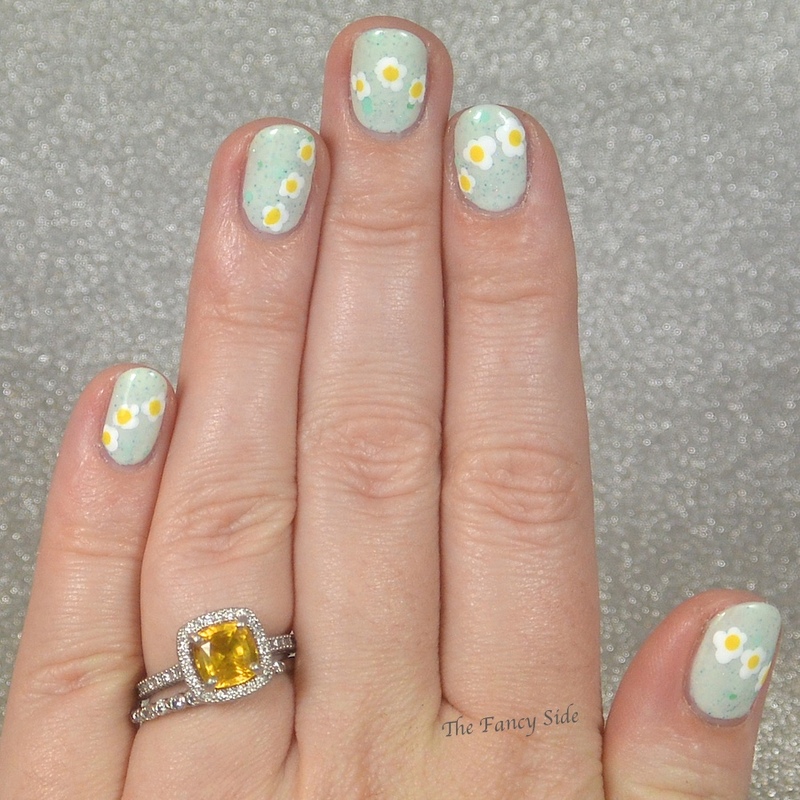 My Kate Spade phone case mani! I'm totally in love with it! Even my hubs noticed and that is saying something. Are you ever inspired by a brand? I'd love to know who! It's Saturday again and ya'll know what that means! #StampingSaturday. I'm currently running around Nantucket with family and having a great time. I'm sad we have to leave tomorrow, the end of vacation is always a bummer. 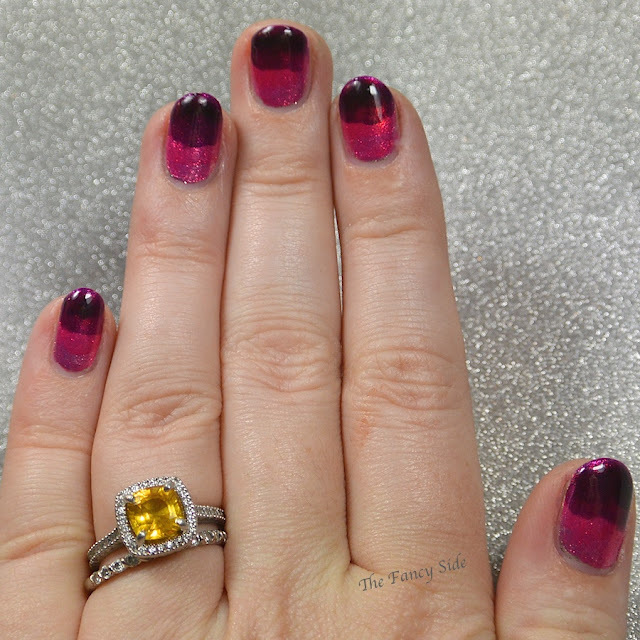 Because I knew I'd be away this weekend, I prepped these nails early in the week. I'm totally in love with them. 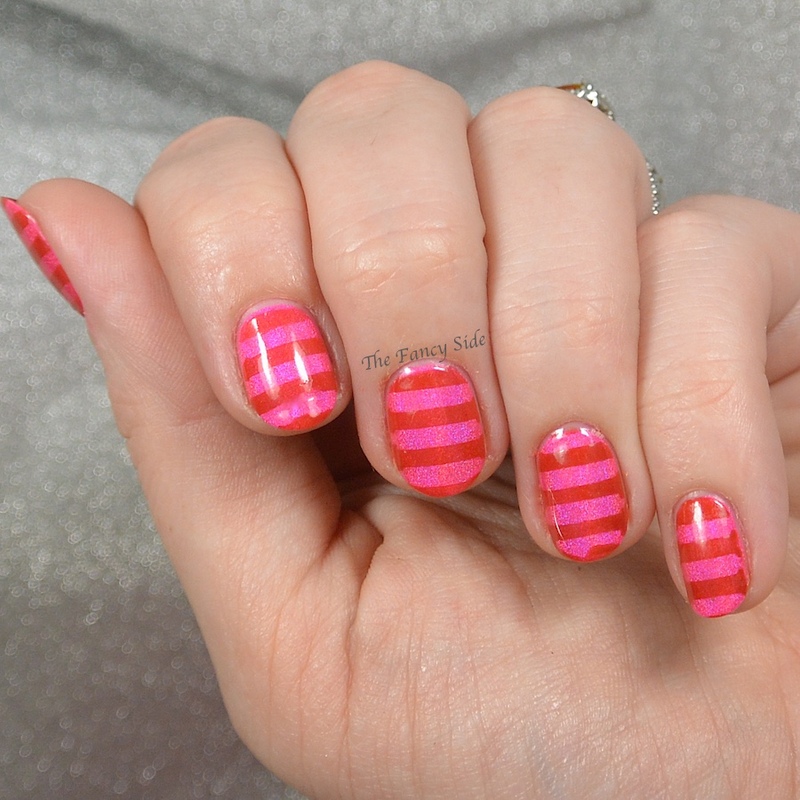 They are such a fun look. 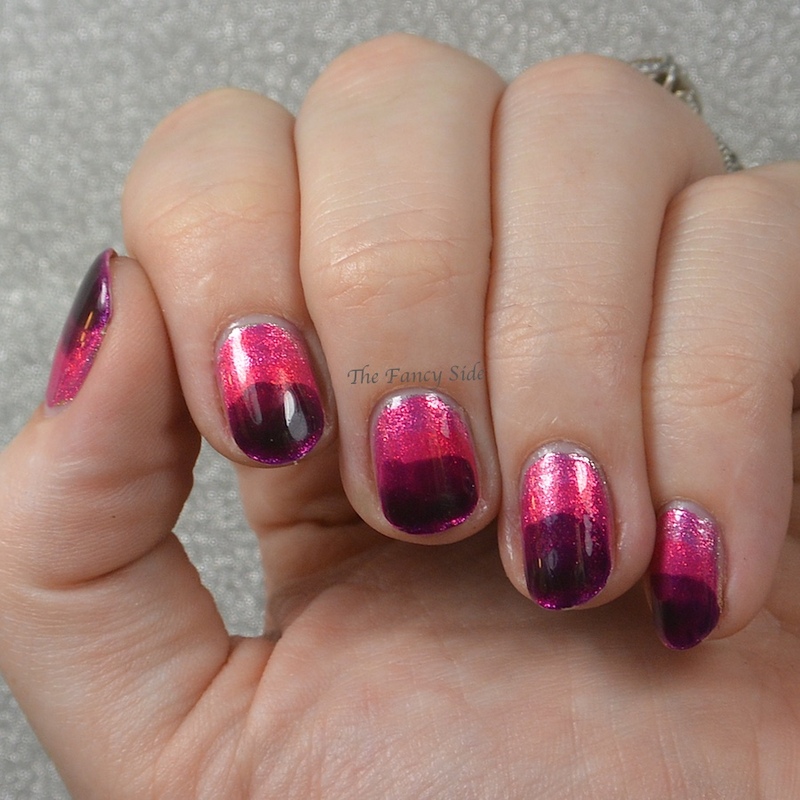 I started with a base of ILNP Super Juiced. 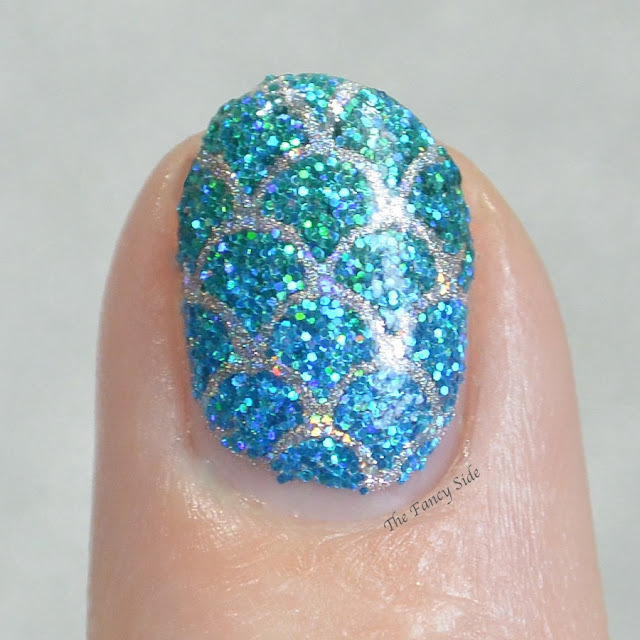 This beauty was two easy coats. I actually wore it plain for just a day, because I couldn't cover it up at first. 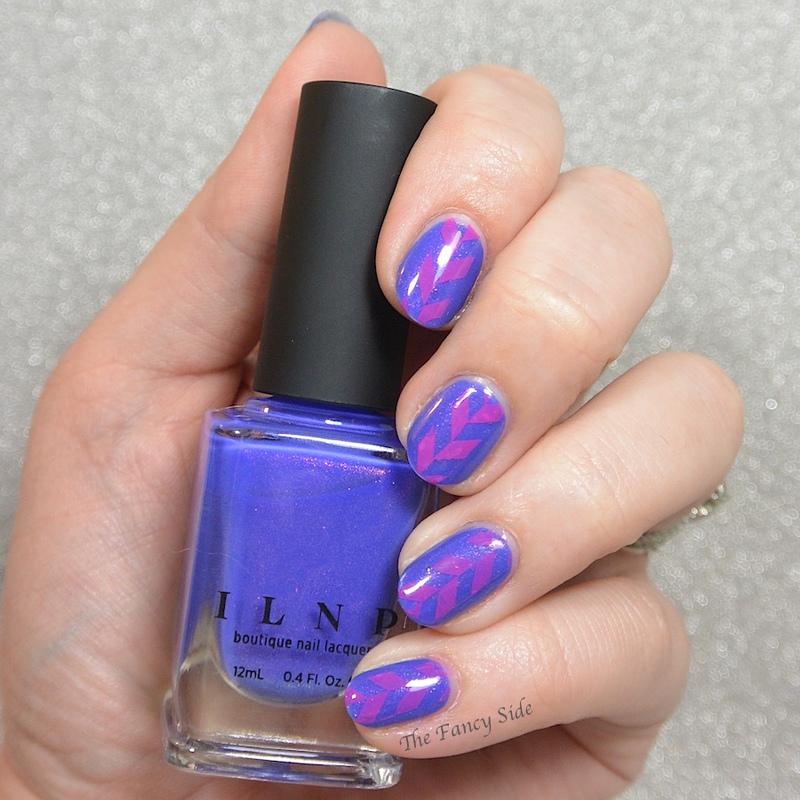 It's the most beautiful blue-purple, or blurple if you are a fan of that word, filled with magenta shimmer. I then created a stamp decal with Uber Chic 1-01 and Mundo de Unas Tutti which was a perfect match for the shimmer in Super Juiced. 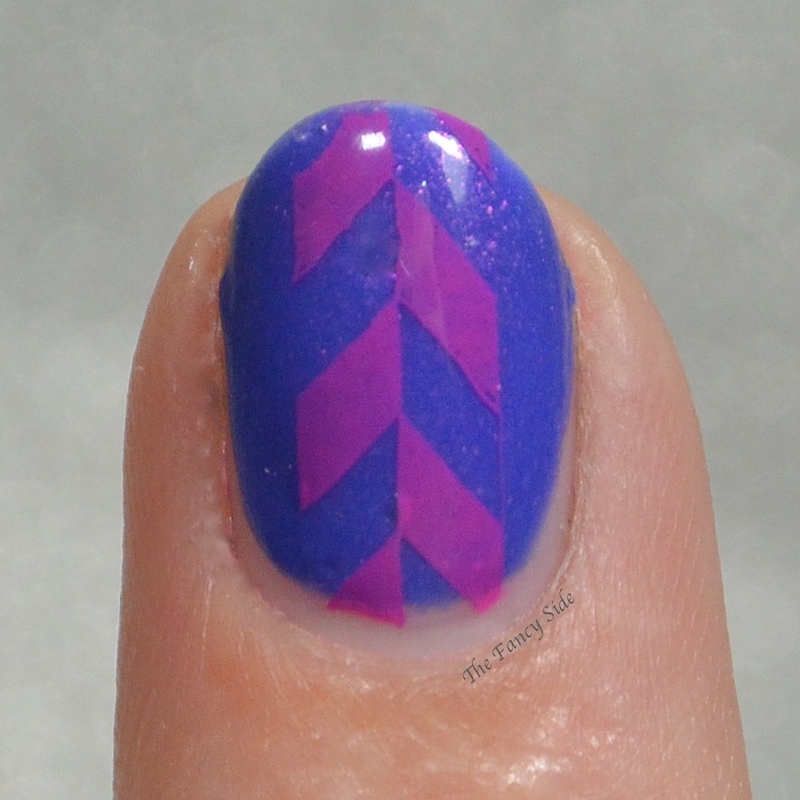 Once the decal was dry I cut it into little strips of the pattern and carefully applied one strip to the center of each nail. 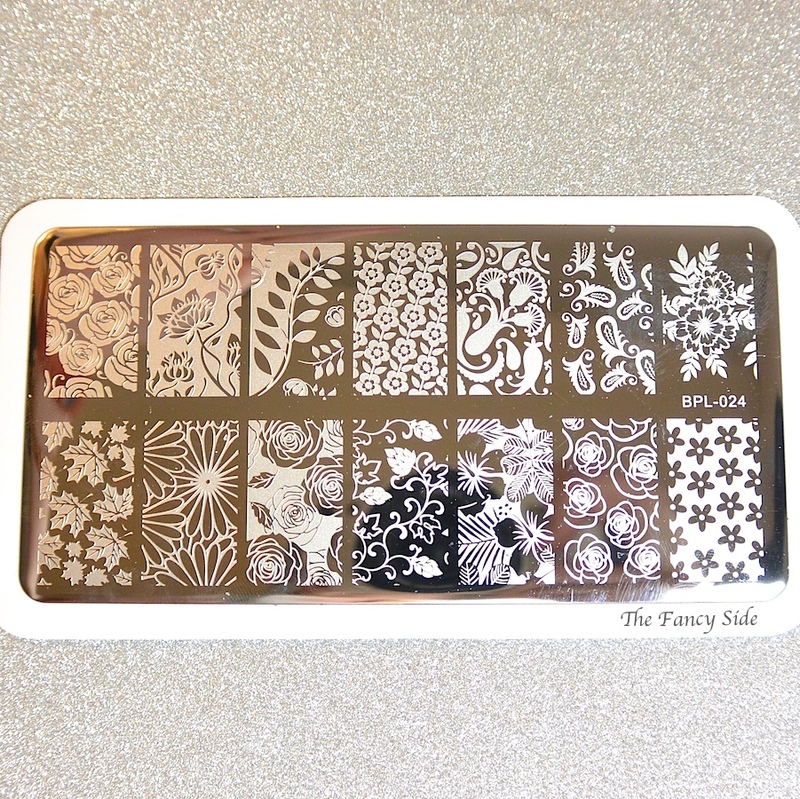 The more I try stamped decals, the better I get and the more I like them. Yay for new techniques! 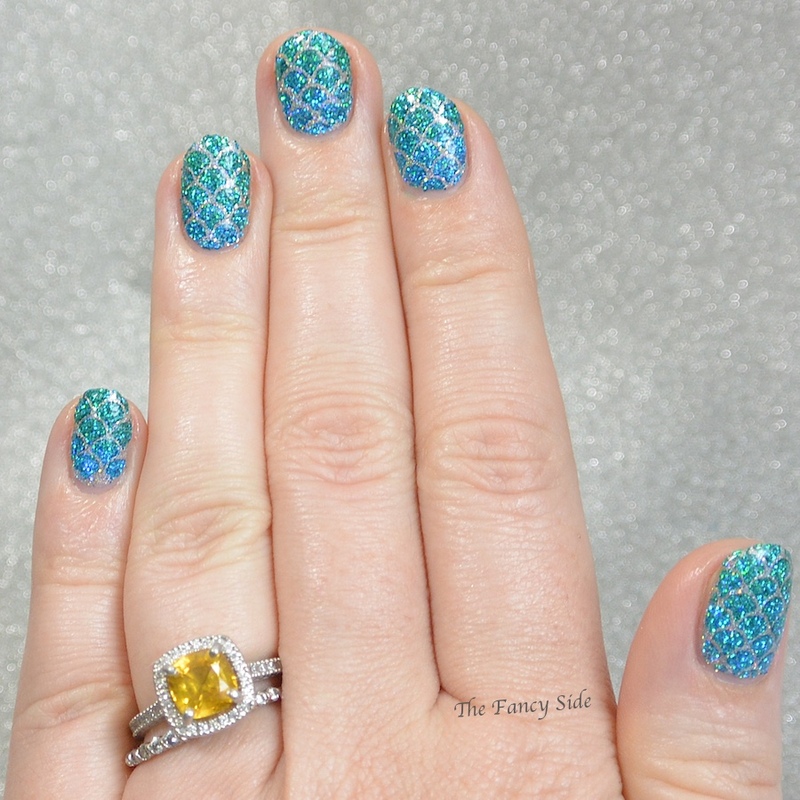 Be sure to check out all the other #StampingSaturday looks below, or join in! #StampingSaturday!!! These are always some of my favorite posts. Just a quick heads up, before we dive into the meat of the post. We recently started a Facebook Group for #StampingSaturdays. 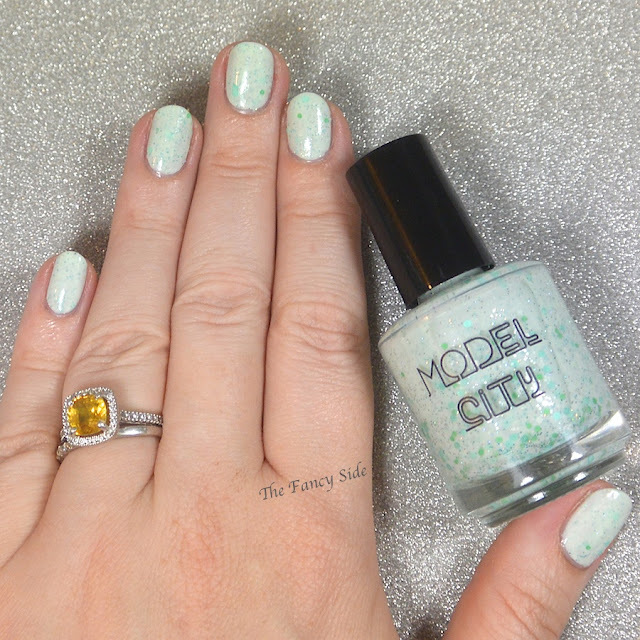 It's a great resource for getting the link up code, bouncing ideas off of like-minded people, and showing off your stamped manis! I'd love it if you came and joined us! 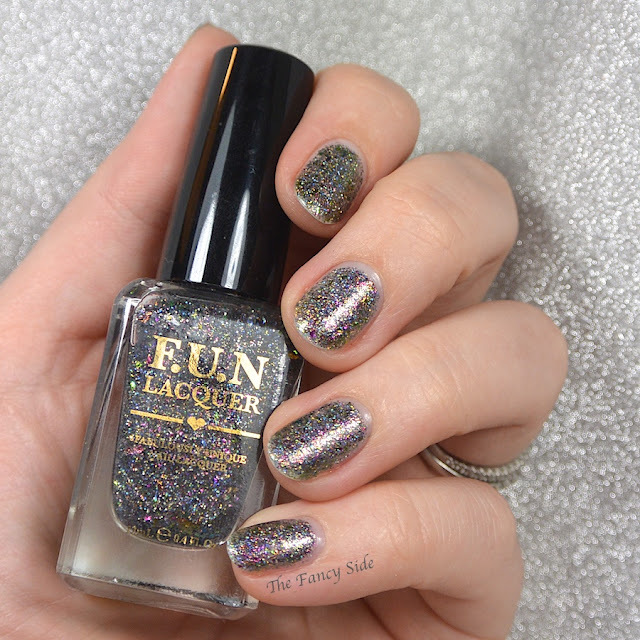 Today, I started with a base coat of F.U.N. 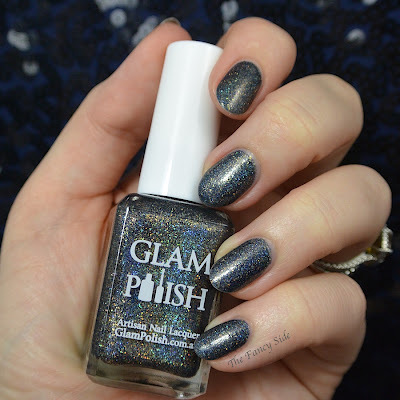 Lacquer's Midnight in Paris. This beauty is part of a Limited Edition 2015 collection. 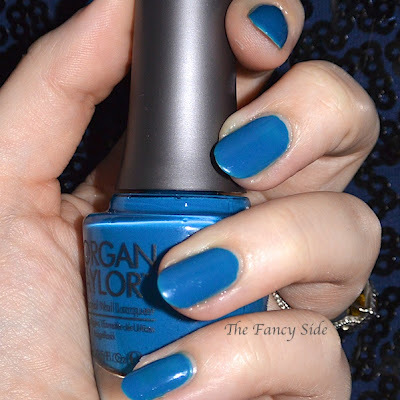 I've seen it worn over black, but today I choose to wear it in three coats for full opacity. 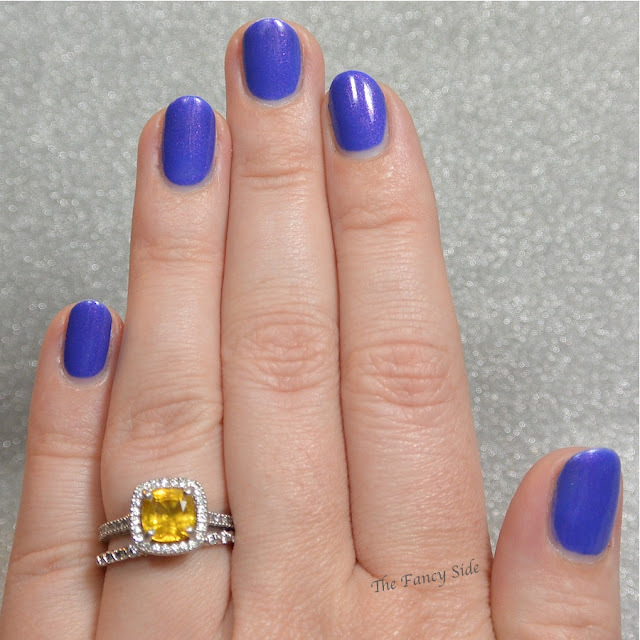 It's hard to describe this shade, sometimes it looks green, sometimes charcoal, others purple. 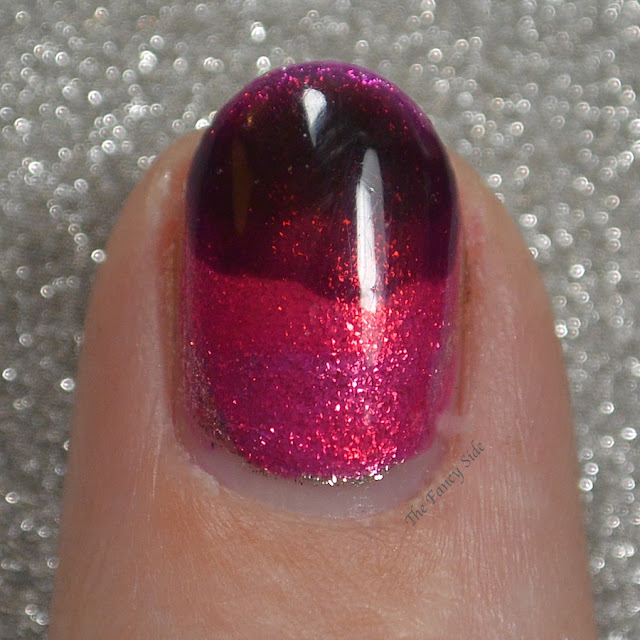 It's a chamelon due to the copious amounts of multi-chrome flakies that make up the base. Also thrown in are holo particles that give this rainbows in the light. 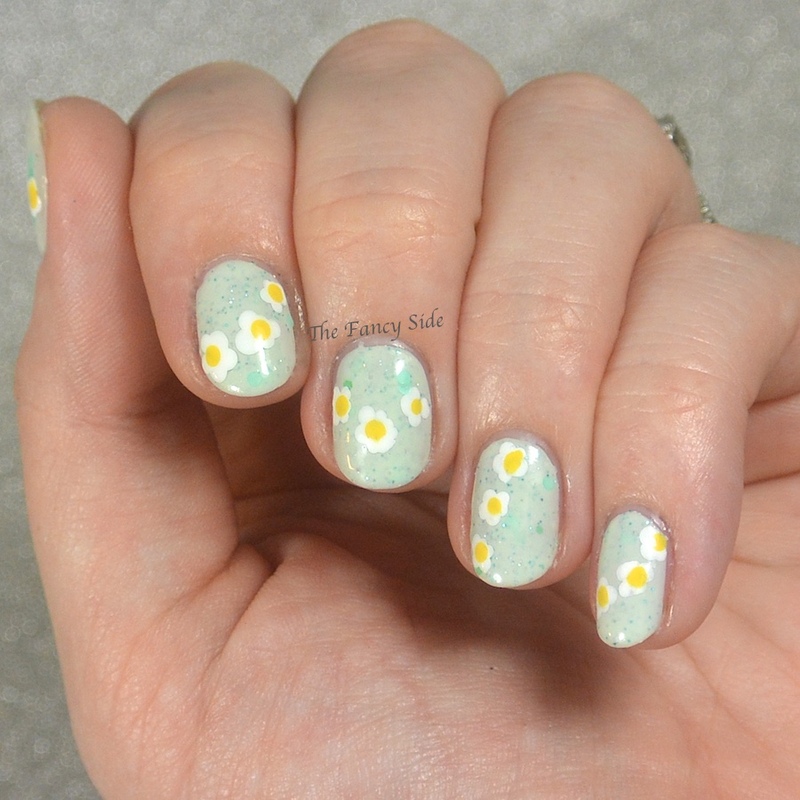 For the stamp I used BPL-024 (above) and Mundo de Unas in Turquoise and Spring Green. I'm loving the way the green leaves look with the blue flowers. 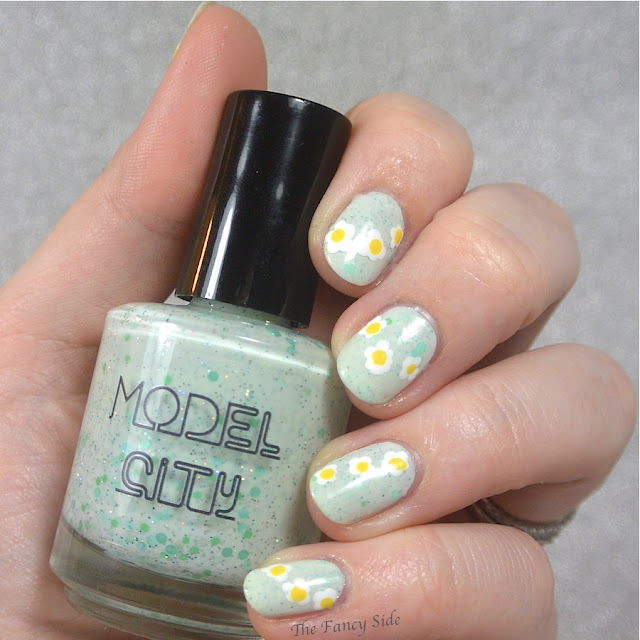 Totally reminds me of the spring gardens I saw all over Paris while visiting. There you have it! 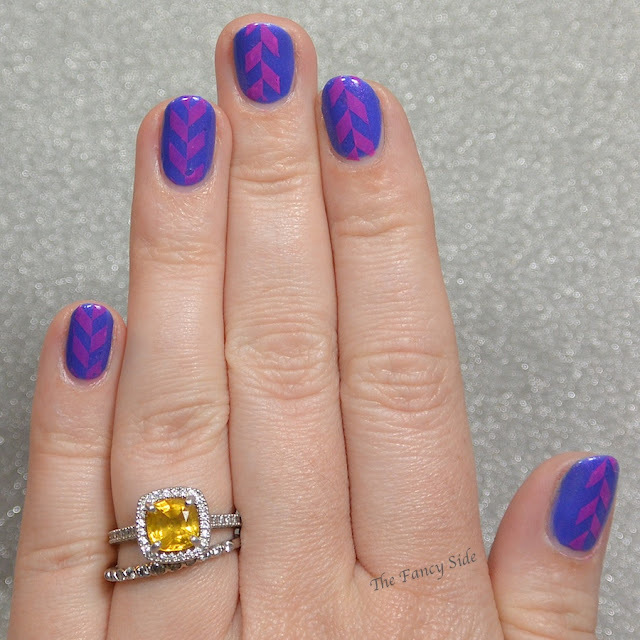 Be sure to check out all the other Stamped Looks below or join in on the fun! It's been a long time since I've done a comparison post. A looooong time. 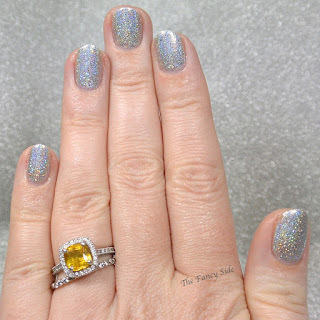 I wore KBShimmer Foiled the other day and someone asked how it compared to Cirque Colors Mirror Mirror. I pulled them both out to compare and I pulled out a few other silver flake polishes that are similar as well. Today's line up includes the two already mentioned and F.U.N. 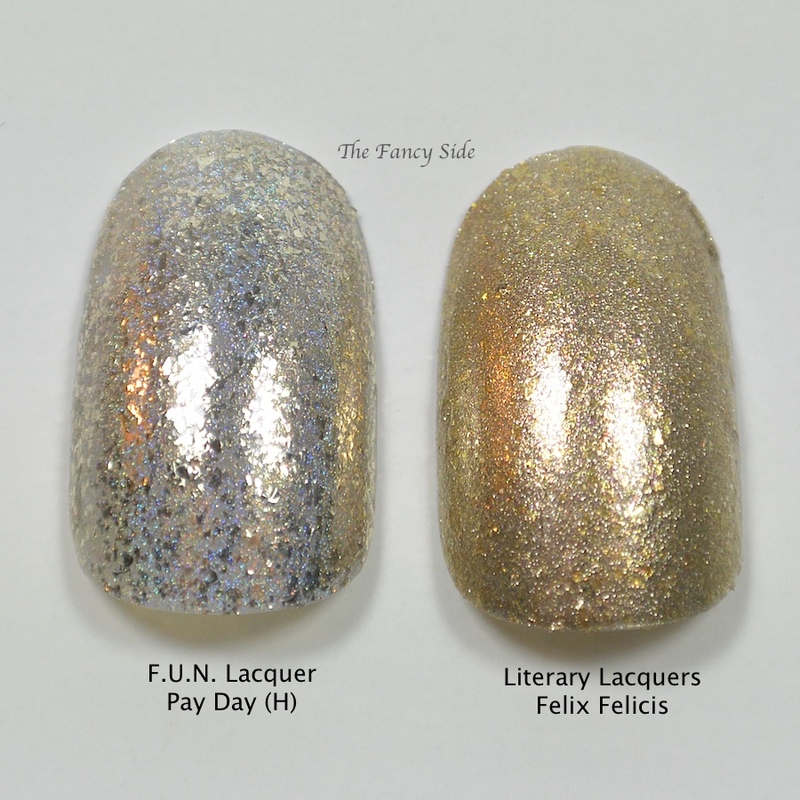 Lacquer Pay Day (H), Literary Lacquer Felix Felicis, and F.U.N. Lacquer Pay Day. 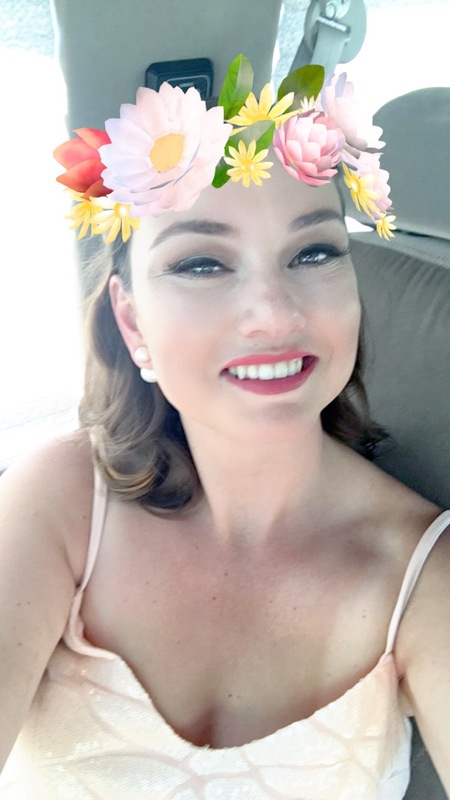 Please be aware that this is a picture heavy post, so there is a lot to get through, as I was pretty thorough. All polishes have been shown with three coats applied and topped with top coat. Up first is KBShimmer Foiled vs. 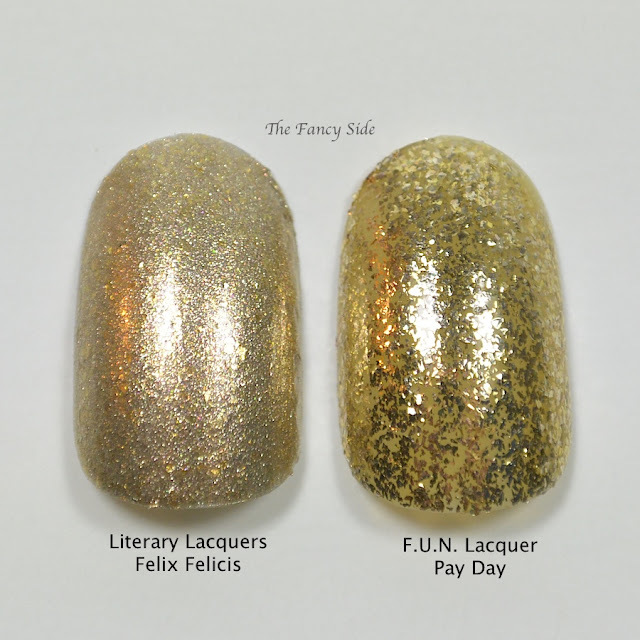 Literary Lacquer Felix Felicis. 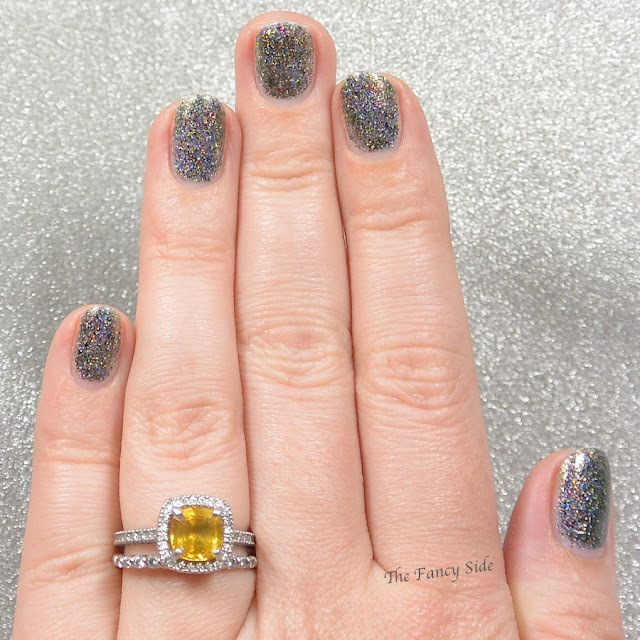 Foiled is the finest of the silver flake polishes. 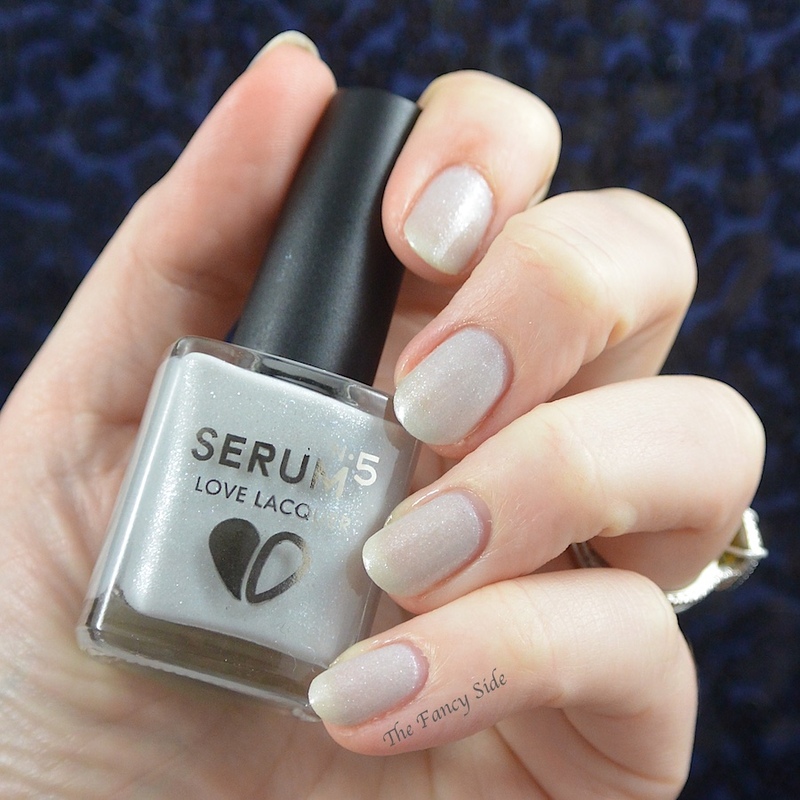 You get full coverage with this one in 2-3 coats and it is a beautiful silver color. Compared with Felix Felicis, you can see the FF is more gold toned with similar flake size but there are also bigger gold glass fleck flakes mixed in as well. 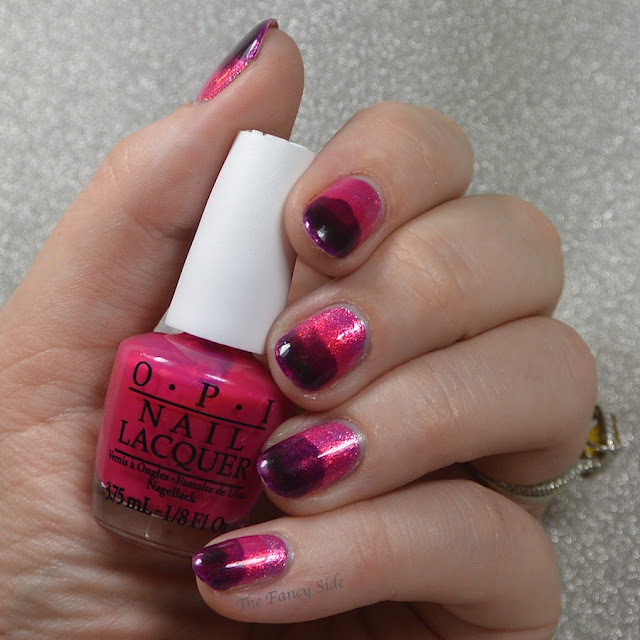 These are most definitely not dupes. Next we have F.U.N. Lacquer Pay Day vs. Cirque Colors Mirror Mirror. I totally thought these two would be dupes and they are in fact the closest out of all of them. My bottle of Pay Day is quite old, like original branding/bottle old, so I don't know if there was color bleed, but it is a silver flake polish in a slightly gold base for me. On the website, her pictures show it as a champagne. 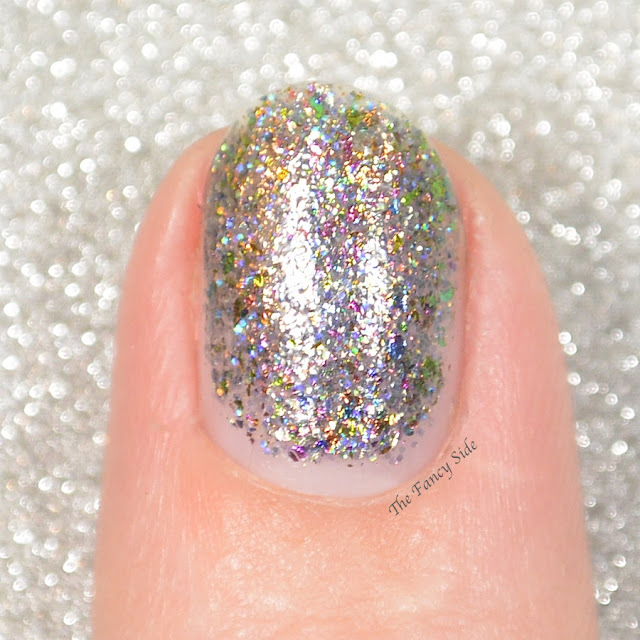 Mirror Mirror is large silver flakes in a clear base. The flake sizes here are spot on but the colors are slightly off. I'm guessing if I had a newer bottle of Pay Day, they'd be dupes. Which is good news as you can still purchase Pay Day. Next we have the two Pay Days against each other. Pay Day (H) has the same flake size in a holographic base. 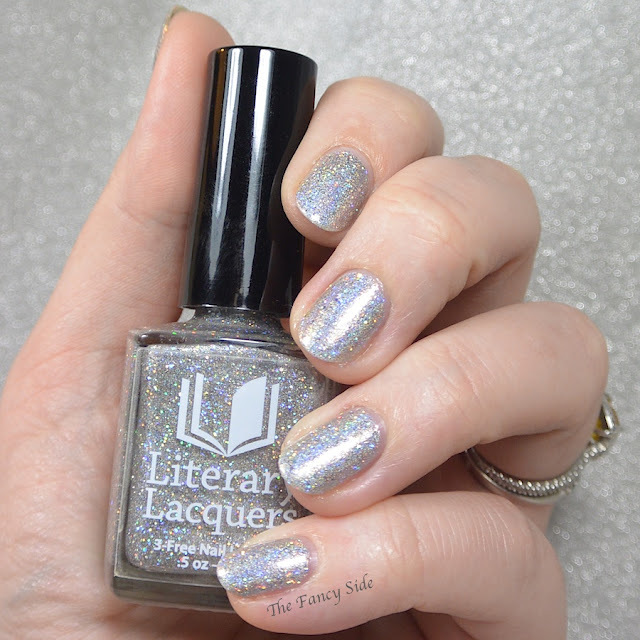 Out of all the polishes this one reads the most silver. Pay Day reads gold in the tinted base. 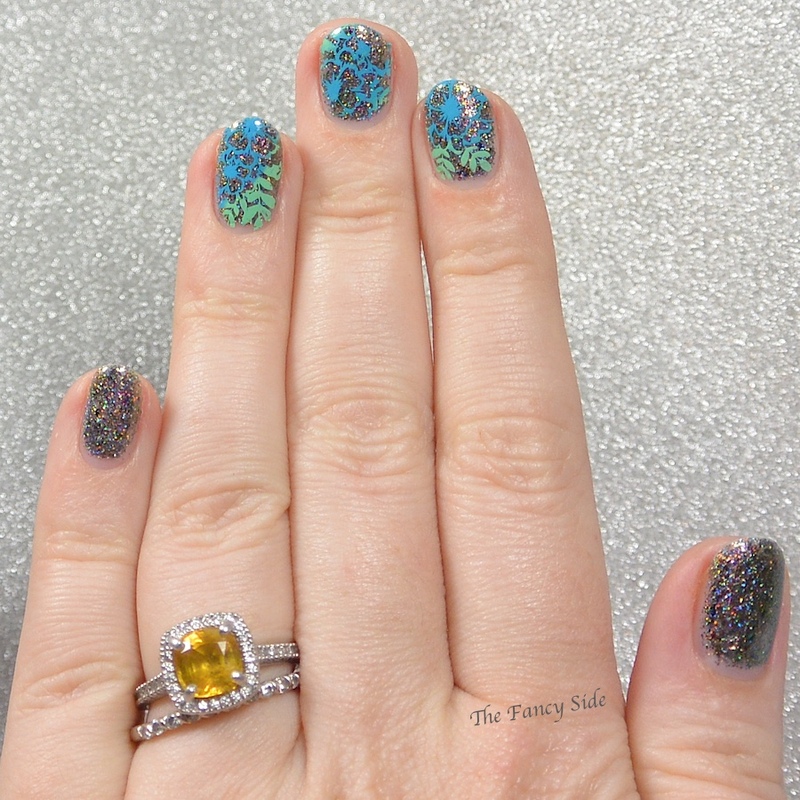 KBShimmer Foiled vs. Cirque Colors Mirror Mirror. 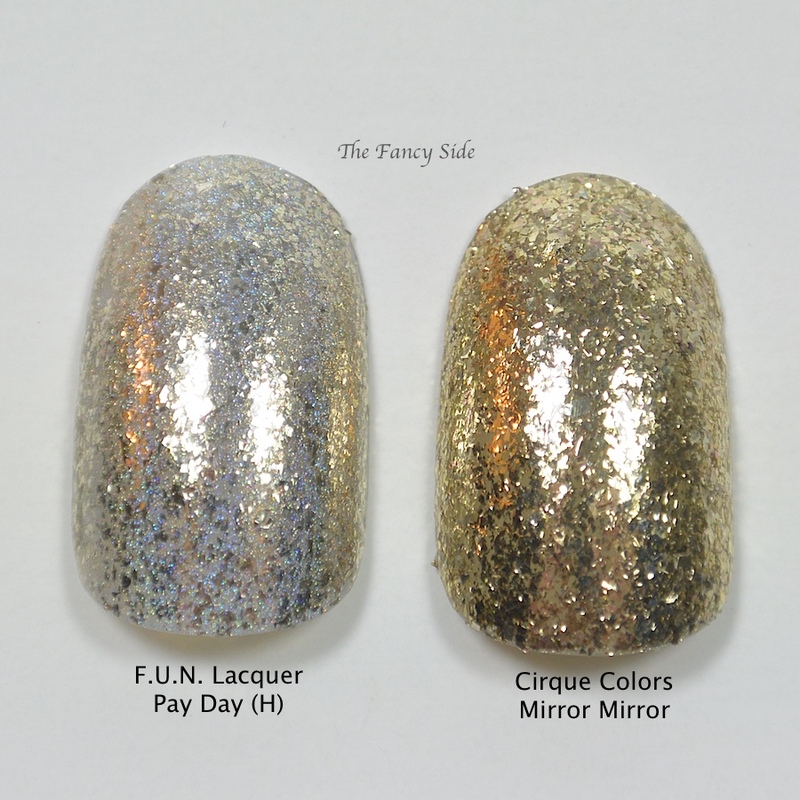 These two are similar in tone and finish, but as you can tell Foiled has much finer flakes that Mirror Mirror. 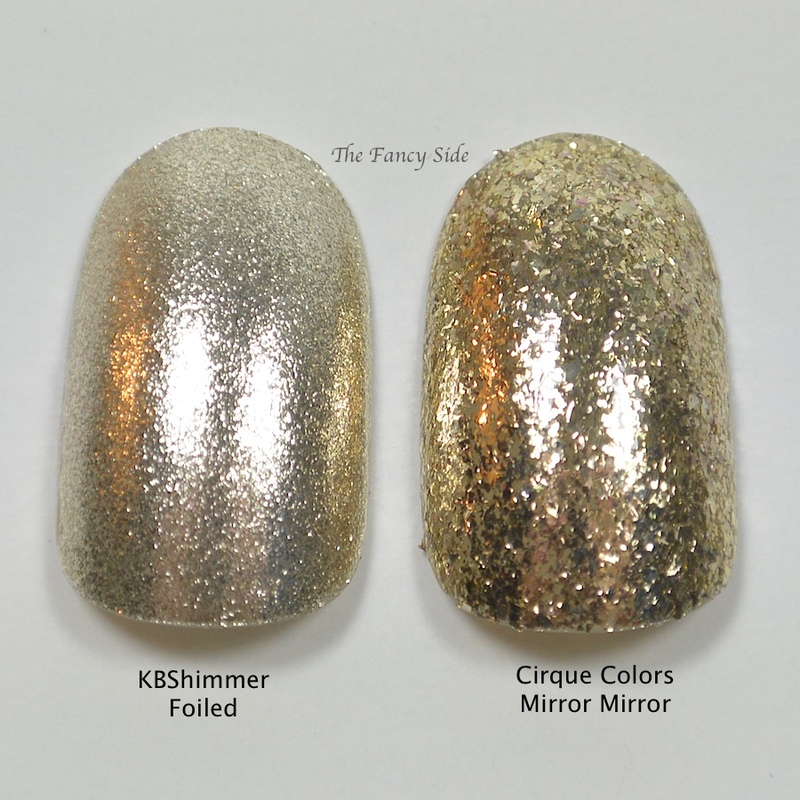 Foiled is like Mirror Mirror's little sister. F.U.N. 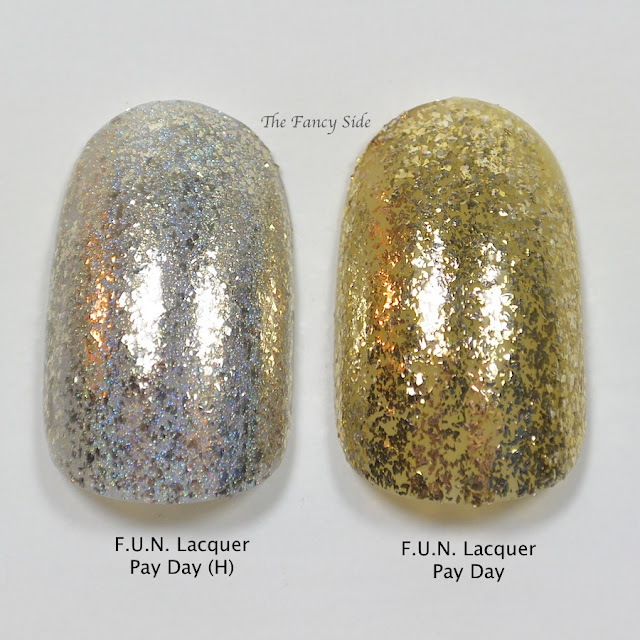 Lacquer Pay Day (H) vs. 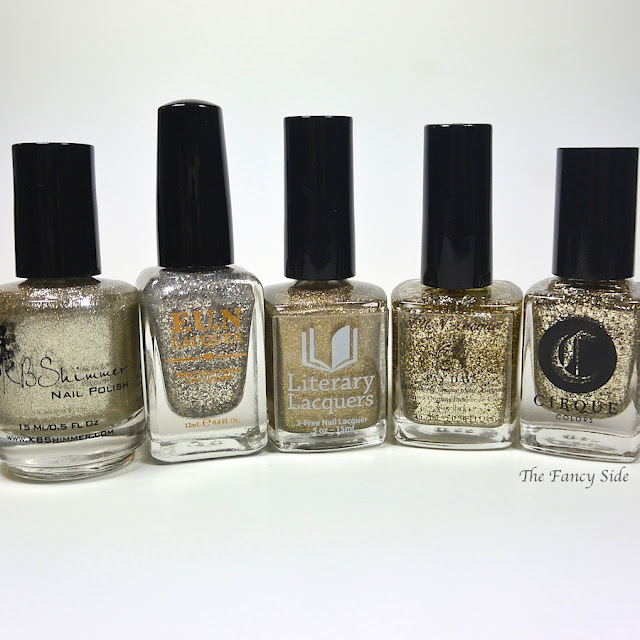 Literary Lacquer Felix Felicis. These two aren't even close. 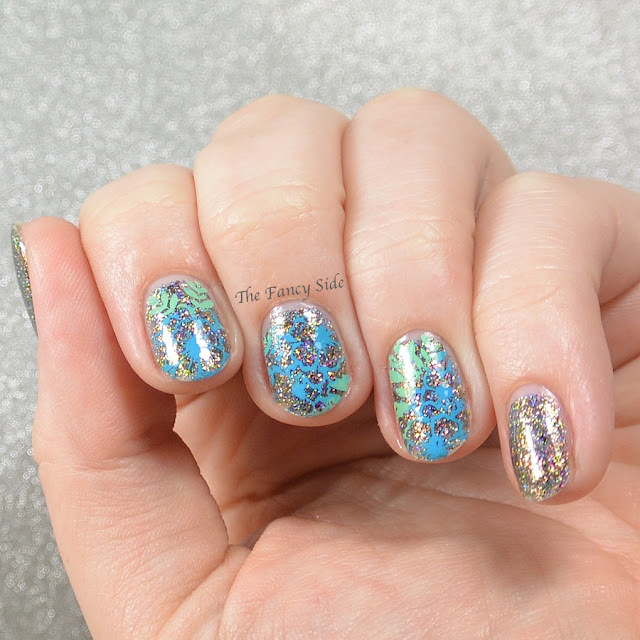 The only similarity they have is that they both have other elements along with the metallic flakes. KBShimmer Foiled vs. F.U.N. 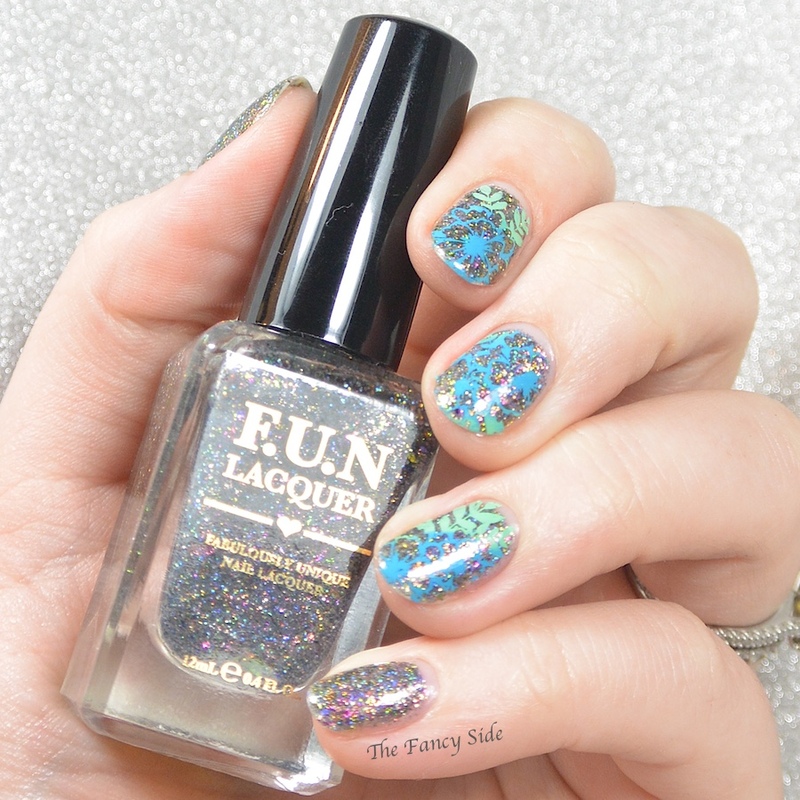 Lacquer Pay Day (H). These two are the most silver of the bunch. 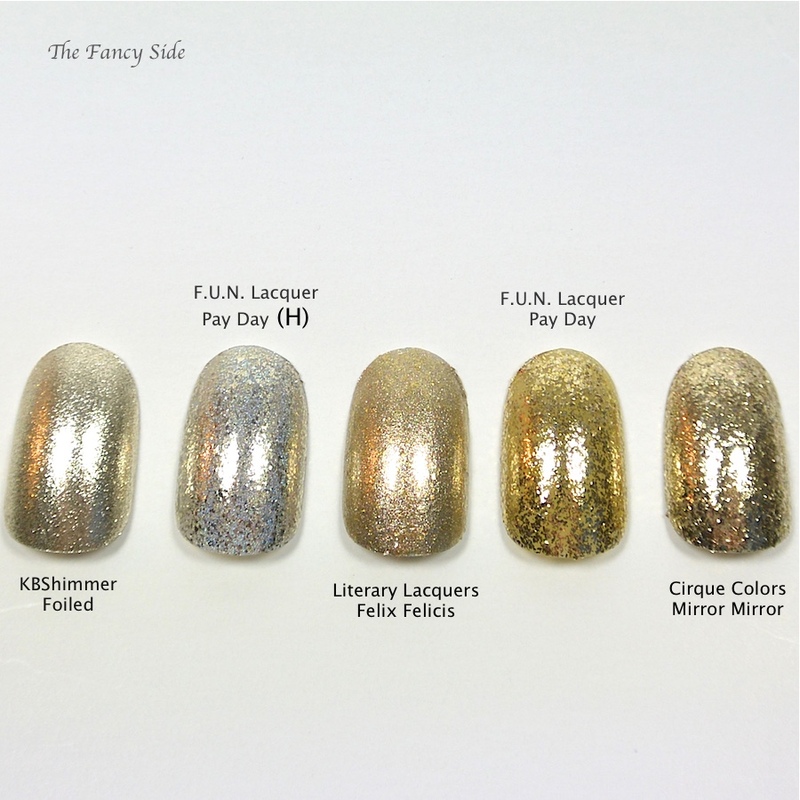 They have similar tone, but different flake sizes, not to mention Pay Day (H) has the holographic base. 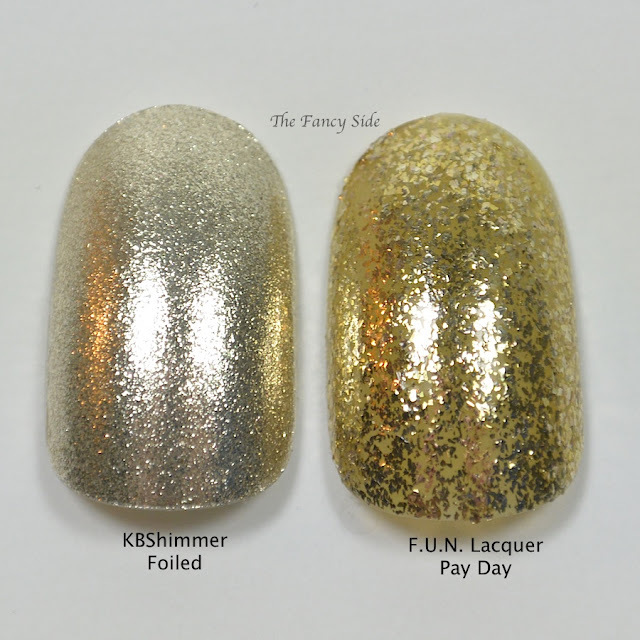 KBShimmer Foiled vs. F.U.N. Lacquer Pay Day. These two aren't similar, you can tell they have a similar background, but that is as far as it goes. F.U.N. 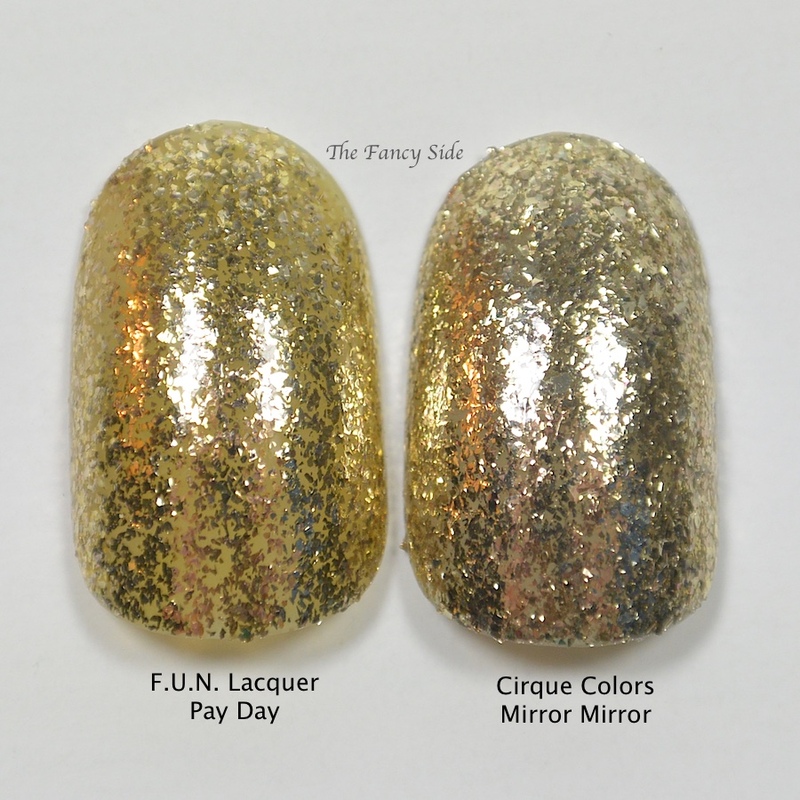 Lacquer Pay Day (H) vs. Cirque Colors Mirror Mirror. These two have similar flake size but the bases are different. 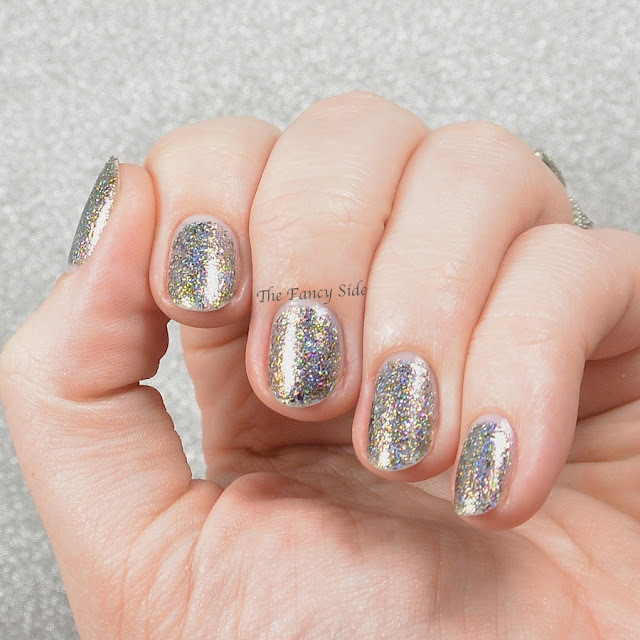 Pay Day (H)'s holographic base makes it read more silver while on Mirror Mirror the flakes in a clear base leans more platinum. Literary Lacquer Felix Felicis vs. F.U.N. Lacquer Pay Day. I think these two are the most similar in color, as they are both the most gold out of the 5, but there are fundamental differences. 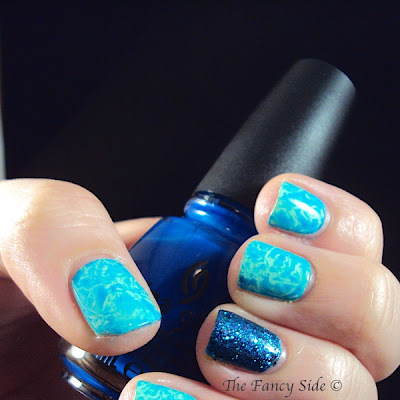 Obviously Felix Felicis uses a much smaller flake size and the addition of the glass fleck takes it further away. 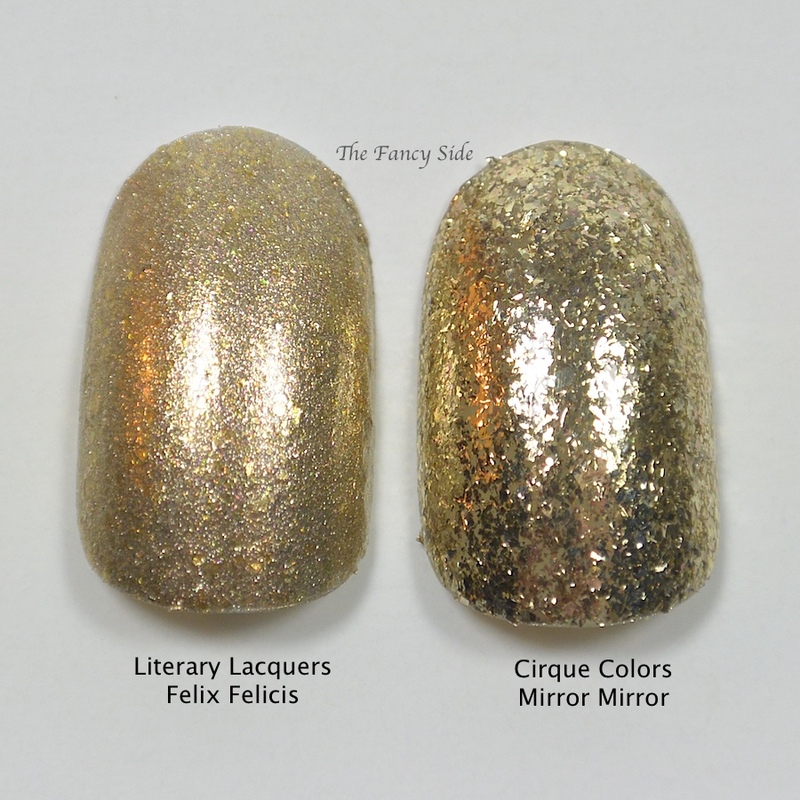 Finally we have Literary Lacquer Felix Felicis vs. Cirque Colors Mirror Mirror. 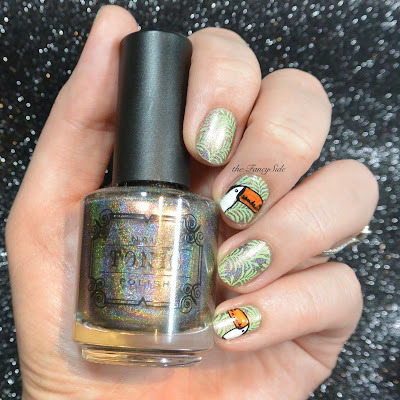 Mirror Mirror has bigger flakes and reads more platinum, while Felix Felicis is much smaller flakes, gold, and has additional glass flecks. So there you have it! Do you need all of them, probably not. The good news is that all of these, with the exception of Mirror Mirror are still available. 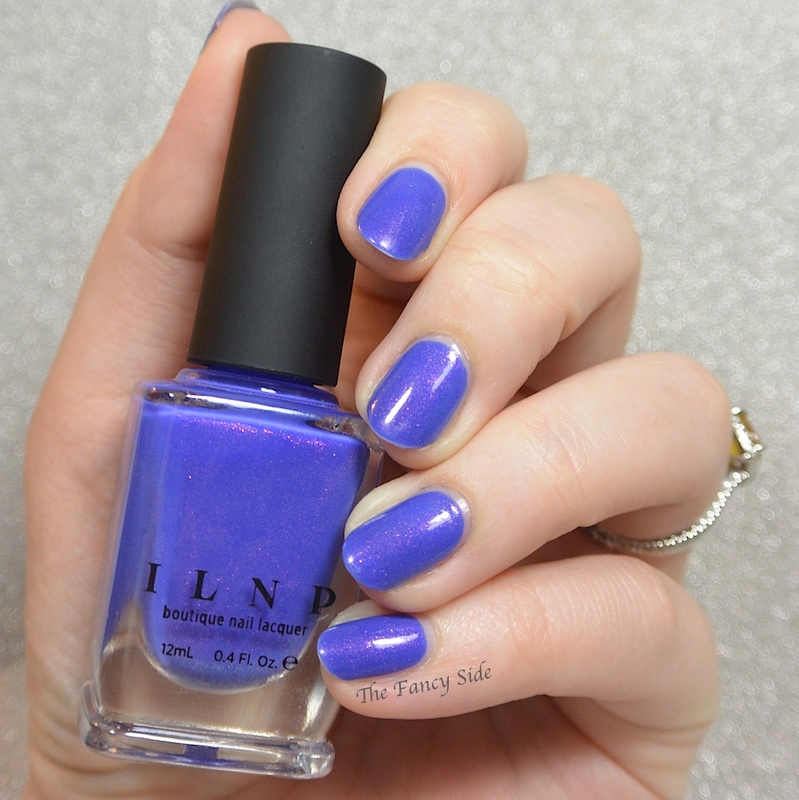 If you missed out on Mirror Mirror's limited run, Pay Day is a good substitute. Other than that, I'm calling them all quite different. 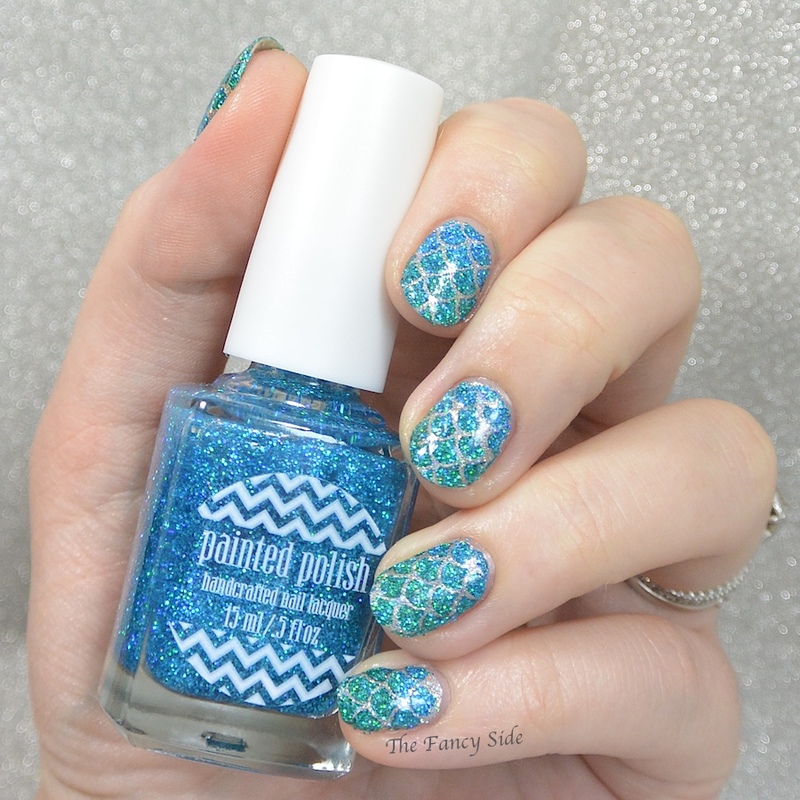 I'll leave all links to the polishes below.